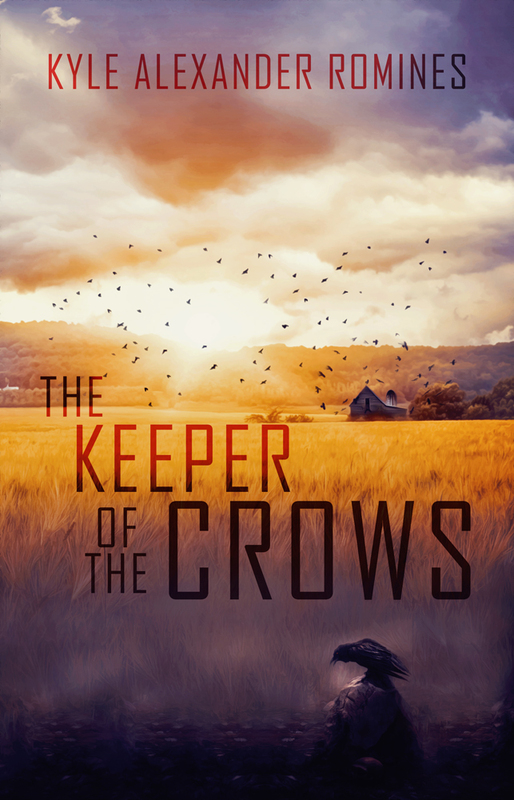 "The Birds" meets "Night of the Living Dead" in Kyle Alexander Romine's "Keeper of the Crows"
LOUISVILLE, Ky. — Sunbury Press has released Kyle Alexander Romine’s debut novel The Keeper of the Crows, a super-natural thriller. … Jeff hastily brought the aluminum can up to his lips and choked down the frothy liquid. “Ugh,” he grunted. It was warm. The vehicle bounced over the gravel rocks, causing him to spill the remainder of the beer on his jacket. “Stupid truck,” he muttered as he glanced at the gas gauge. There was barely enough fuel to get back into town. Jeff hurled the empty can down on the floorboard and brought the vehicle to a halt. A rusty metal gate barred his entry to the farm. Jeff almost laughed when he saw the locks fastened around the wooden post. Like anyone would want to break in here, he thought. The sun waned above, casting an orange glow on the farm. An old barn stood nearly twenty feet beyond the fence. Like his truck, the barn’s red paint was faded, and planks of rotten wood contributed to a general state of disarray. A cornfield rested just outside the barn, with a small grassy hill overlooking the whole property. Jeff grabbed a cooler from the back of his truck and hoisted it over the gate adjoining the wooden fence. A wave of reluctance washed across him when he rested his hands on the cold metal. After hesitating, Jeff shook his head and yielded to the silent calling that prompted his return to the abandoned farm. It wasn’t like anyone was going to find him out here. The farm lay deserted since the last member of the Alistair family passed away almost twenty years ago. The government now owned the property. All the while the Alistair farm lingered in limbo, waiting. Waiting for him. “Here goes nothing,” Jeff said before he began climbing over the fence. A blast of freezing wind sent a chill through him, but it was too late to turn back now. He trudged through thick piles of multi-hued leaves. Dusk was fast approaching over the October horizon. Jeff stared into the thick rows of corn. He remembered all too well what secret lay hidden within. That the corn would still be growing in an ordered pattern after all these years disturbed him for some reason. He caughtanother chill, this one not from the cool breeze. The government probably planted them, he thought. Even as the words formed in his head, Jeff found the probability unlikely. He didn’t understand why the town would waste money by planting corn in an abandoned field. 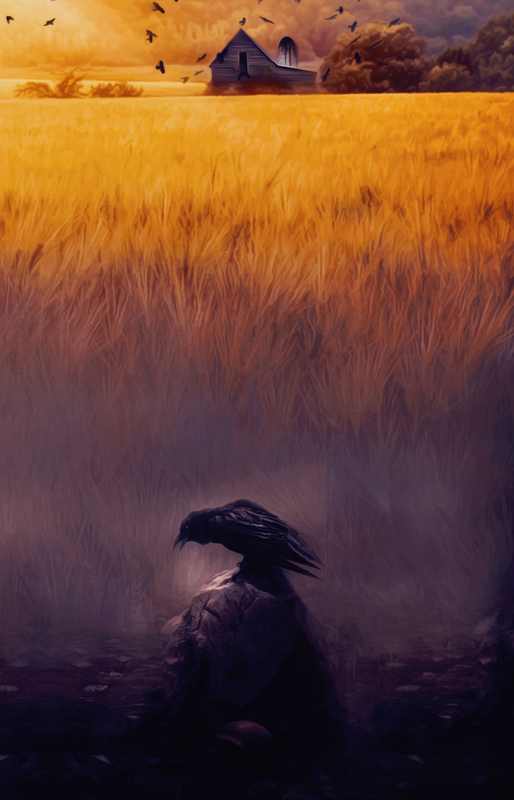 As he rounded the corner, Jeff spotted a dark figure in the cornfield. He nearly jumped out of his skin before realizing the figure wasn’t human. A stitched amalgamation of cloth and straw hung from a pole that towered above the rows. “It’s just a scarecrow,” he said to himself, letting out a sigh of relief. Kyle discovered a passion for writing after graduating high school, which resulted in the completion of three novel length manuscripts before The Keeper of the Crows. These fledgling attempts at writing taught him a great deal, and since writing Keeper he has worked to continue honing his skills. He hopes to continue writing as long as he has stories to tell.